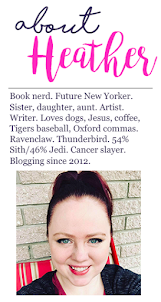 In this blog's relatively short history, I have yet to go back and review something I read before I was really actively blogging and I don't plan to make a habit of it. However, today was the Epic Reads ARC Party and one of the first books they showed was Infinite, the third book in the series created by author Jodi Meadows, and was inspired to talk about how truly awesome this book (and the second book) is. I came across Incarnate while browsing at my Barnes and Noble between doctors' appointments. I had literally no money in my pocket. But it was close to my birthday (Dec. 5) and Christmas. So I snapped a shot of it, added it to my wishlist, and when Christmas morning came, it was THE THING I was looking for and I tore through it in one sitting. And it isn't even because it's not a long or substantial book, it totally is. I was just totally immersed in it. 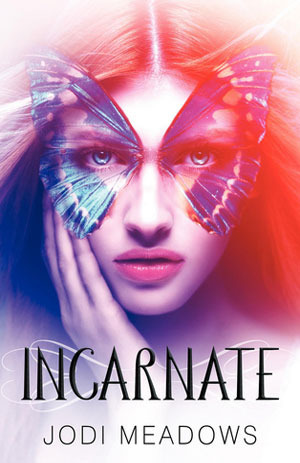 Incarnate is the story of Ana, born into the Range, a society made up of exactly a million souls. In the Range, when people die, they eventually return. Sometimes they change genders, but in general, they maintain the same soul and continue the same research, work, and professions. The members of this society keep detailed journals about their past lives and store all of their hard work so they can return to it when they are reincarnated. One night, this all changes -- the night that Ana is born. On this night, the normally lit temple at the center of the city of Heart (the only city known in the Range) goes dark. This is the night when they believe the soul of Ciana was expected to be reincarnated. Since her birth, she has been dubbed a NoSoul. Her mother, Li, hates her and does the best to make her life hard. She never goes into Heart, she never interacts with anyone. She's the very definition of a pariah; a social outcast that no one wants to know. All the things Ana has every known come into question when she travels from the Range to the city of Heart and encounters Sam, a well-traveled soul with an open heart, willing to teach her about music and guide her through a life she's never lived. Everything about Incarnate was just perfect, in my opinion. It's a beautiful book and unlike anything other book out there.